Almost all 50 states are now part of "The Race to the Top" (RTTT) funding, and since part of RTTT is teacher evaluation, many districts and schools are looking for ways to provide a consistent framework for evaluation. 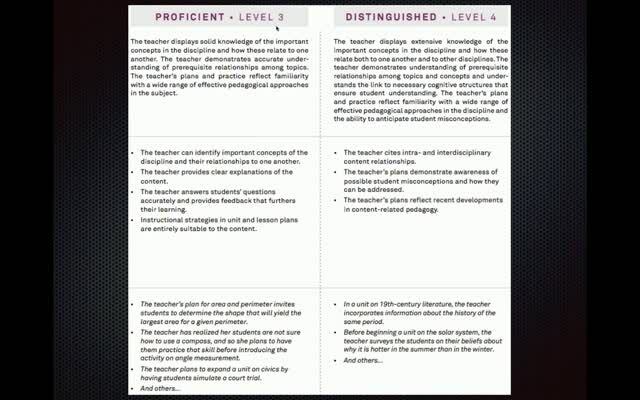 One of the models for evaluating teachers is the Danielson Framework. One of the benefits of the evaluation process, and the Danielson Framework itself, is the ability for schools to make adjustments to best suit the needs of their staff. This webinar will provide an overview of the basics of the Danielson Framework, as well as give a few examples of how it is being implemented in one New York school. 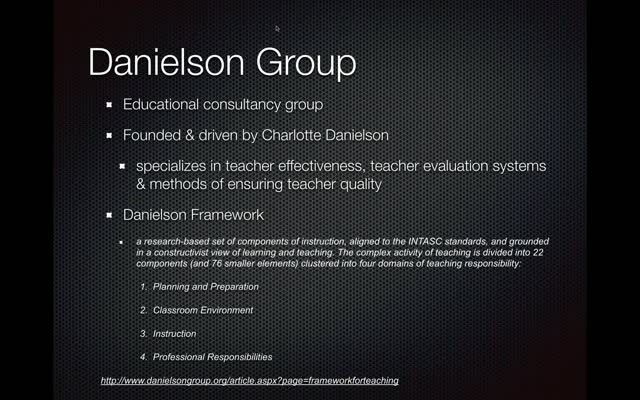 Join Chris Casal as he gives a brief overview of how some schools use the Danielson Framework. (Disclaimer: since there are multiple evaluation models and each state/city/district makes adjustments, this webinar is not a specific guide but an overview of one possible use). Thought was good content, seems that teachers need to be involved in the actual evaluation process to better help all parties. Chris: Thank you for sharing some information I did not know. Great webinar. 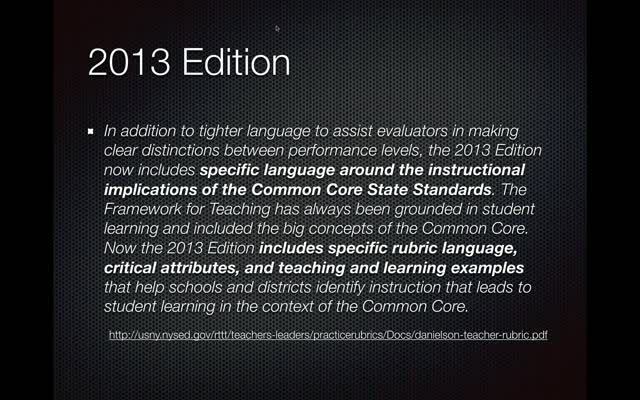 Very good analysis/overview of Rubric. How teachers perform by observation and other results (comprehensive outlook) seems more positive and productive for the students in the end. It's a nice overview, the webinar is almost a year ago so curious to see the follow-up a year later.